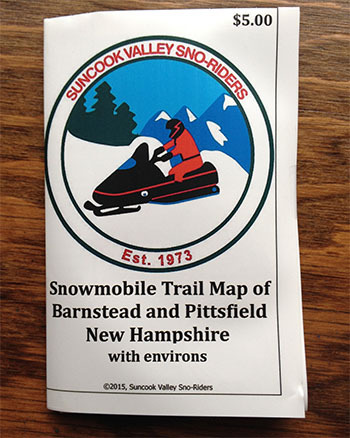 The Suncook Valley Sno Riders trail maps are full-color printed on both sides on 11" x 17" synthetic paper which makes them tear-proof and water-proof! Perfect for all weather conditions! 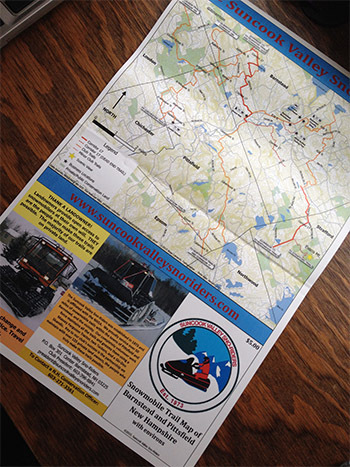 Because the trail system changes often we plan on printing updated maps every year which will have new features and show re-routed trails, dead-ends and other important changes.